I started to write another post about Dr. King in celebration of his birthday. I went back to something I had written in 2011 which in turn went back to something from 2009. In all candor, I stopped trying to write a new one after heading out into rants on the subject of race relations today. Since we don’t do politics here I’m reposting the older screed. Maybe in honor of Dr. King you’ll go see “Selma”, as imperfect as that film is, and reflect on his message. 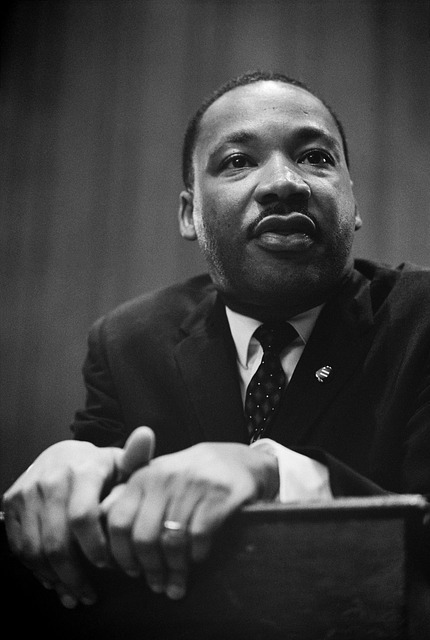 Today is the day we pause to celebrate Dr. King’s birthday. I went back and looked at my post from two years ago, which was about dreams – specifically one of Dr. King’s dreams becoming a reality. That was sort of focused on what he saw – his vision. Today I want to focus on one of the great man’s best qualities that influenced how he acted to make that vision real. I think it’s applicable to business. No, it’s not going to be another ethics rant (although those are never out of style in my book). Today, it’s about the most important skill I think all great businesspeople – and great leaders – posses. To me, great leaders serve to fulfill the needs of their people. For Dr. King, it meant endless meetings with various groups to understand their concerns and explain how broadening civil liberties to be more inclusive could help meet them. For those of us in business, it means paying more attention to the concerns of our customers and co-workers than to our own agenda – these folks ARE our agenda to a certain extent, along with the underlying needs of our businesses. In a word – listen. Everyone wants to feel as if their ideas and thoughts are being heard if not acted upon. Without someone hearing them, action on those concerns is impossible. Listening, then speaking, brings trust. I know this isn’t a new thought in this space but it came to mind on this day thinking of Dr. King. If you go back to the early days of Dr. King’s involvement in the civil rights movement, it’s pretty clear that he was a reluctant leader. He was drafted to lead and was kind of unsure of himself. As he listened to the members of the community and other clergy, he realized that he was simply a voice for the community and their agenda became his agenda. Many of you will be familiar with Stephen R. Covey, who wrote that we ought to “seek first to understand, then to be understood.” I think Dr. King, if he read pop-psychology, would have appreciated that.